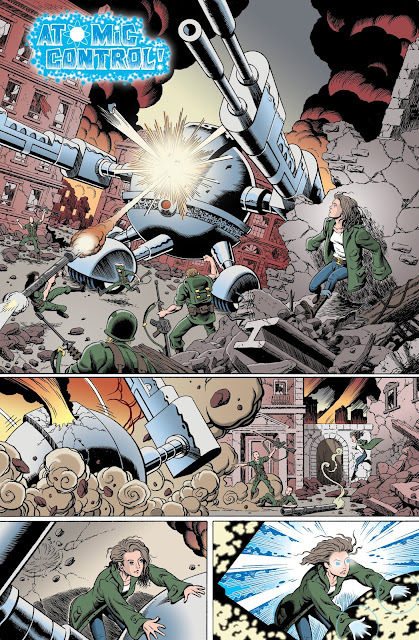 In my opinion, Edward Whatley has done amazing work on our story 'Atomic Control' due to be published next year in the fantastic anthology comic, 100% Biodegradable. Although he's decided the page below is now only a 'test' page and not the finished version, I think you'll all agree that his talent is without question. Let's start with the bad news... well, maybe not bad news as such, just a good dose of reality. 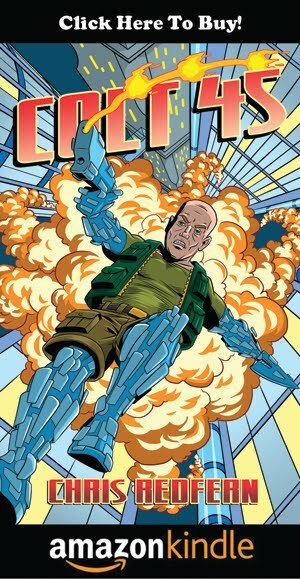 My new job has seriously curtailed any time I'd had previously to think / script / write and edit my stories. Although I still get a great deal of enjoyment from writing, I've come to realise that the days of knocking out comic scripts and short stories in but a few short days are behind me. I'm still writing, it's just nowadays it takes rather longer to see any results! So now for the good news. 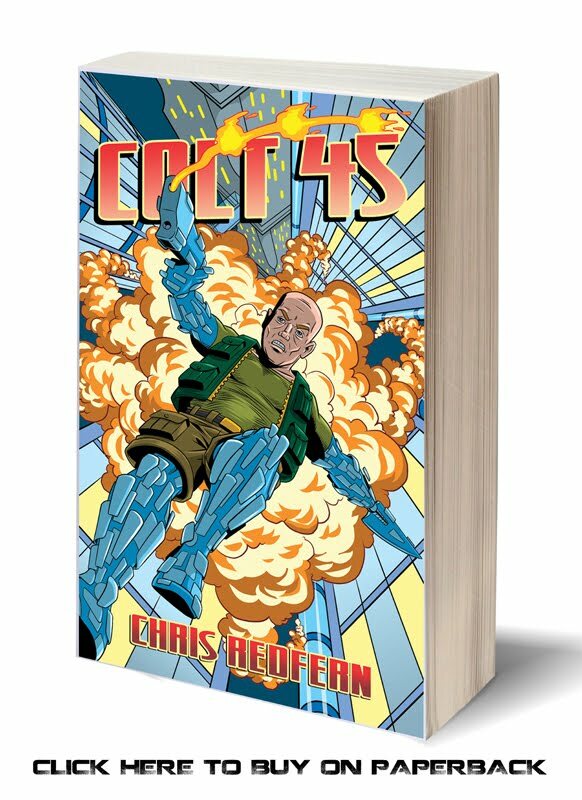 After several rejections and six months of 'negative returns' (okay, so that's not the good news), I've decided to go down the road of self publishing my novella - COLT-45. If I'm honest, I'd rather thought this might be the case... for JK Rowling I am not! It'll be exciting to finally see it in ebook form and finally put to bed a project started almost 3 years ago! I've enlisted the help of an extremely talented and professional artist, one who I know will knock the socks of the front cover. Who is it? Well, for now, you'll just have to wait and see....!